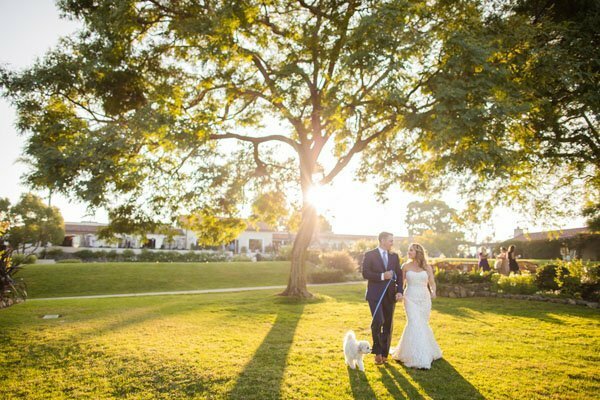 Average base cost for an Inn at Rancho Santa Fe wedding is calculated by figuring a 120-person guest list for a Saturday wedding. 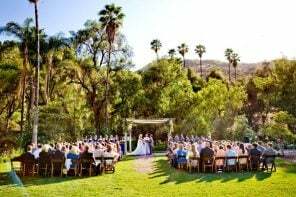 Entertainment, flowers, additional decorations and rentals, transportation, and photography are not included. Price is rounded up to the nearest thousand. Gratuity and tax is included in our average base cost. 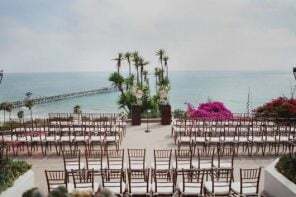 Facility Rental Fee: There is a $3,500 venue fee, which consists of the setup of your ceremony, cocktail reception, dinner, and after-dinner dancing. 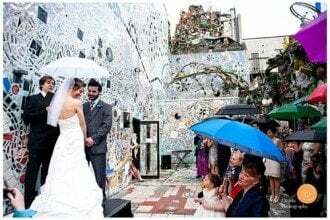 A six-hour time frame is included, from the start of the ceremony, to the end of the dancing reception. The event may continue for an additional $500 per hour. Food/Beverage: You must use their in-house food and beverage program. 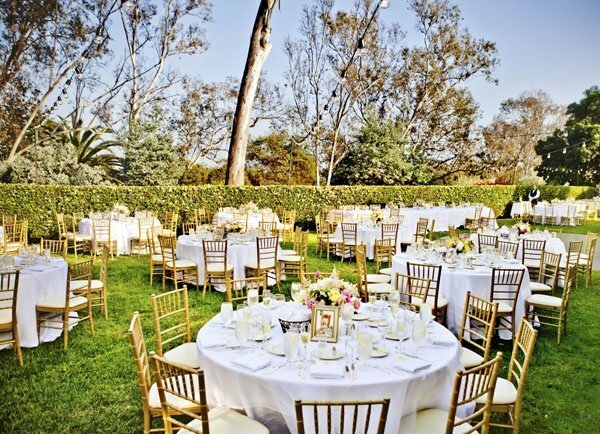 For budgeting purposes, food and beverage costs are estimated at $170 per person, excluding the site rental fee, 23% service charge and an 8.00% California state tax. Outside Vendors: Outside vendors are allowed except for catering. 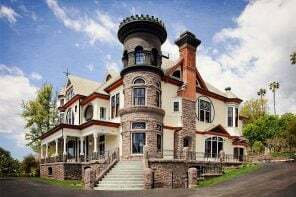 Bridal Suite: The venue provides a ready room for the Bride or Groom to get ready in, or the Bride and Groom may receive a discounted rate for a hotel room to get ready in. 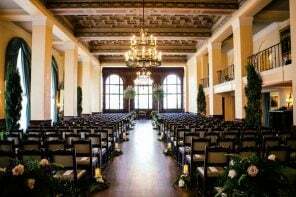 Size: The spaces available are the Azalea Lawn (seating for up to 250 people); Azalea Ballroom (seating up to 120 guests); Croquet Lawwn (seating for up to 350 people); Mimosa, Mariposa, or the Front Upper Lawn (seating for up to 350 people); Rose Garden (seating for up to 180 people). Parking: Valet is available for $5 per car. How Will Grandma Get There? Ideally Grandma will stay at the resort, which has 80 guest rooms. 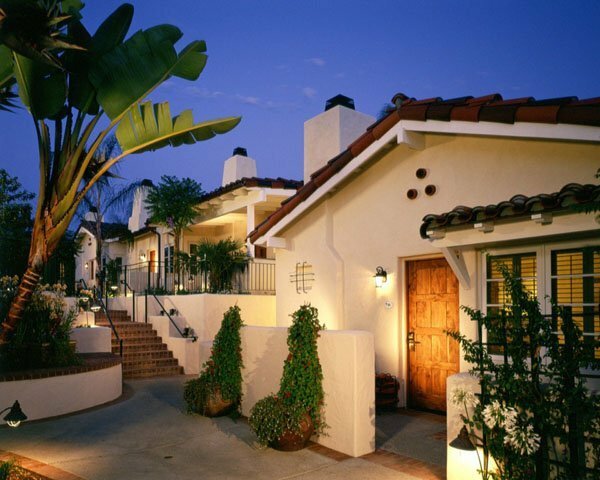 Other nearby hotels include the Hilton San Diego/Del Mar and the Morgan Run Club & Resort. The San Diego International Airport is a 35 minute drive from the venue. Party On! Outdoor music can be plated until 10 p.m., and then can be moved inside until 12 a.m. 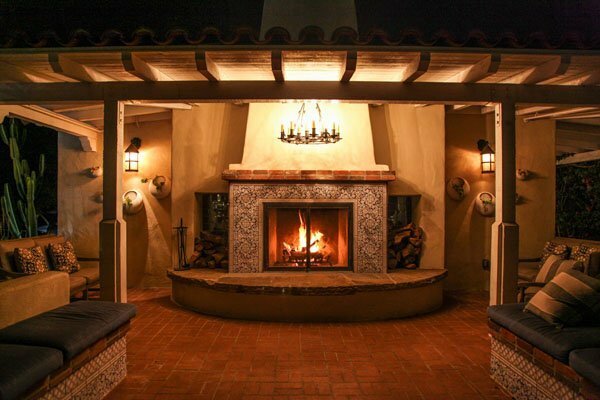 The architectural team behind the town of Ojai was enlisted to develop the community of Rancho Santa Fee, an area that was originally part of a land grant deeded by Mexico in 1840 to the first mayor of Pueblo de San Diego, Juan Maria Osuna, whose family and descendants lived on the property for many years. Lilian J. Rice, one of the first women to graduate from architecture school at the University of California, Berkeley, was in charge of the project, and was influenced by her travels to Spain and Cuba, as well as architecture that can live in harmony with the land. 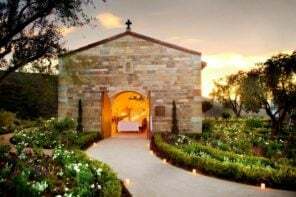 Her first building, La Morada, was the focus of the town and is what eventually went on to become the Inn at Rancho Santa Fe in 1940 as a luxury hotel. 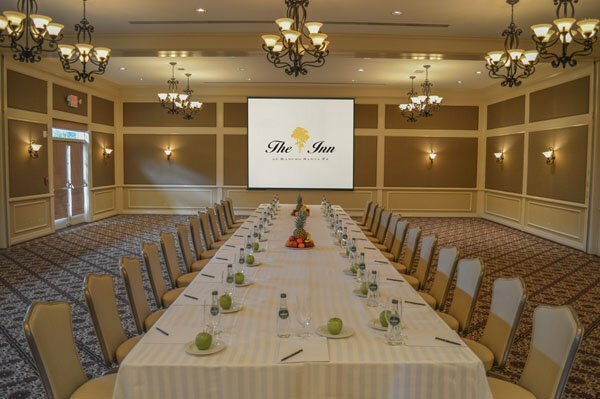 Set on 21 acres, the hotel features a restaurant and bar, as well as spa and pool. 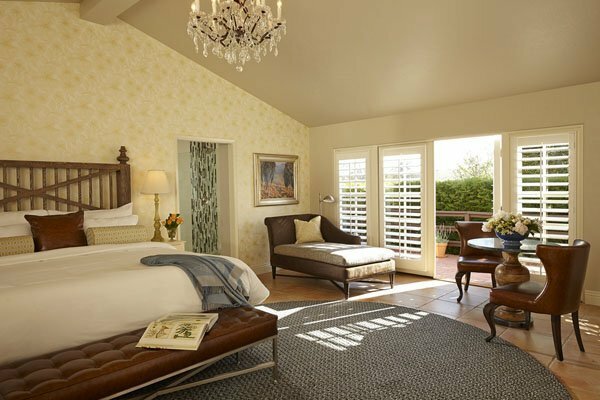 Guests also have access to golf and tennis, hiking trails, croquet, and a fitness center. 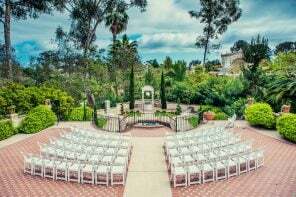 I think this venue is a great choice for all you California brides if you’re looking for a destination wedding venue close to home, especially if you can take over the entire property. 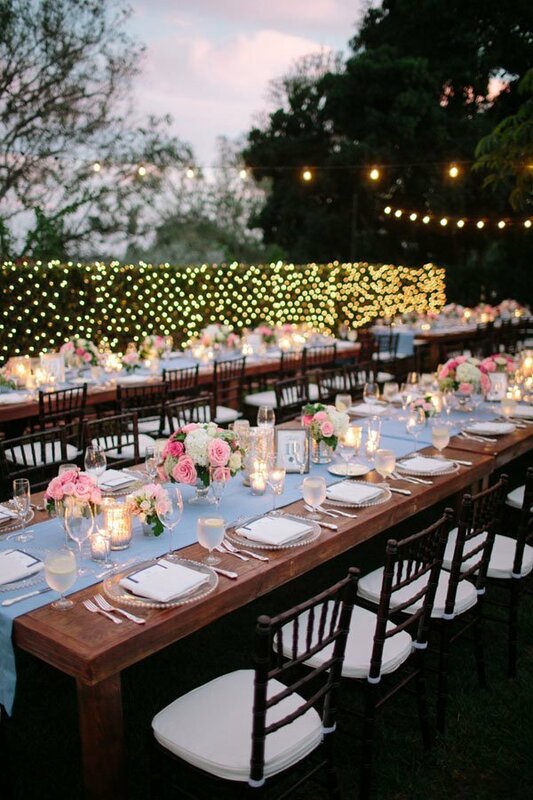 While the town of Rancho Santa Fe itself doesn’t have much going on and can be pretty quiet, for two nights you can make your own party for guests on the property. 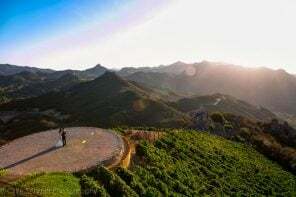 It’s also a quick drive (34 minutes) from the San Diego Airport for guests traveling from out of town, which is always welcome after a long flight. 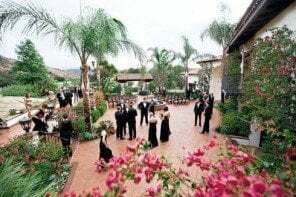 I think you would most likely want to have your reception outside to take advantage of the California weather, though consider keeping your guest list under 120 if you want a great rain backup with the ballroom. Other bonus? 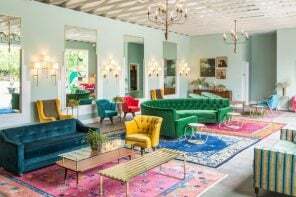 This is an SPG property, so DEFINITELY consider getting a Starwood American Express credit card to take advantage of all those wedding points for your honeymoon.